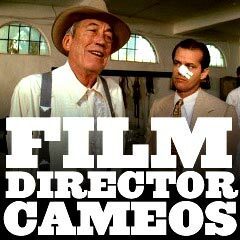 Greatest Film Director Cameos: Many established directors have made memorable appearances (cameos or bit parts and sometimes more extensive supporting or lead appearances) as actors in films not directed by themselves. Herein are a few examples (in chronological order). CAMEO: Orson Welles as film producer Lew Lord who gave Kermit the Frog "the standard rich and famous contract"
Frank Oz, known for his masterly portrayal and voice of the Jedi Master Yoda (puppet, then CGI) in Episode V: The Empire Strikes Back (1980) and Episode VI: Return of the Jedi (1983), and then in the three prequels: Episode I: The Phantom Menace (1999), Episode II: Attack of the Clones (2002), and Episode III: Revenge of the Sith (2005).